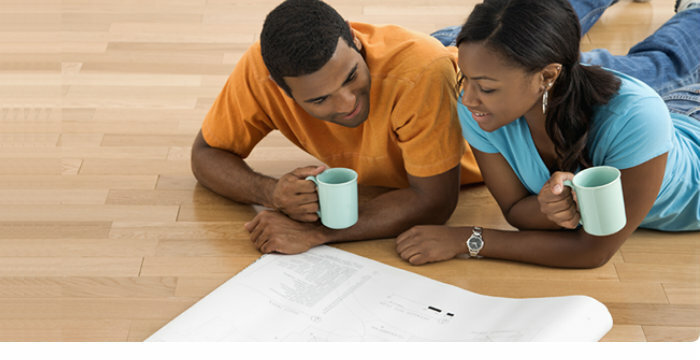 From home buying to refinancing, turn to AFFCU for support through this exciting journey. Getting a mortgage is a major milestone whether you're a veteran home buyer or a first timer. In either case, we'll be there along with you as your guide and resource for a smooth, successful process. Our tailored mortgage lending products and services are designed to fit every borrower's unique needs regardless of your previous experience. AFFCU will save you money with competitive rates, as well as time with an easy application process and quick closing. Join AFFCU to take advantage of our member services and financial solutions. Get monthly mortgage payments that work with your budget in addition to the best mortgage rates and loan terms around. Whether you're buying a new house or considering refinancing your existing mortgage, learn more about our home loan options can help you. A conventional fixed rate is the most traditional type of mortgage. A conventional fixed-rate loan allows you to lock in a rate for 10, 15, 20, and 30-year programs. AFFCU offers up to 95% financing on conventional loans. Ask a Question or Find a Branch. We'd love to speak with you in person! Ideal for first-time home buyers, FHA loans are insured by the Federal Housing Administration (FHA). These loans allow lower down payments and less restrictive qualifying criteria. A VA loan is a mortgage loan available to active and retired military, reservists, and surviving spouses. The program is backed by the U.S. Department of Veterans Affairs (VA). VA loans offer long-term financing to eligible persons. Advantages of VA loans are low rates, no down payment or monthly mortgage insurance, and easier qualifying terms. The Rural Housing Loan is run by the United States Department of Agriculture (USDA). This federal program helps borrowers purchase homes in rural areas. The USDA insures the loan and provides assistance with more flexible mortgage financing options and support. If you already have a mortgage, now could be the ideal time to refinance to a lower interest rate. Available for conventional fixed-rate mortgages, adjustable-rate mortgages and FHA loans with quick in-house processing. Loan programs may change at any time with or without notice. Information deemed reliable but not guaranteed. All loans subject to income verification, credit approval, and property appraisal. Not a commitment to lend.